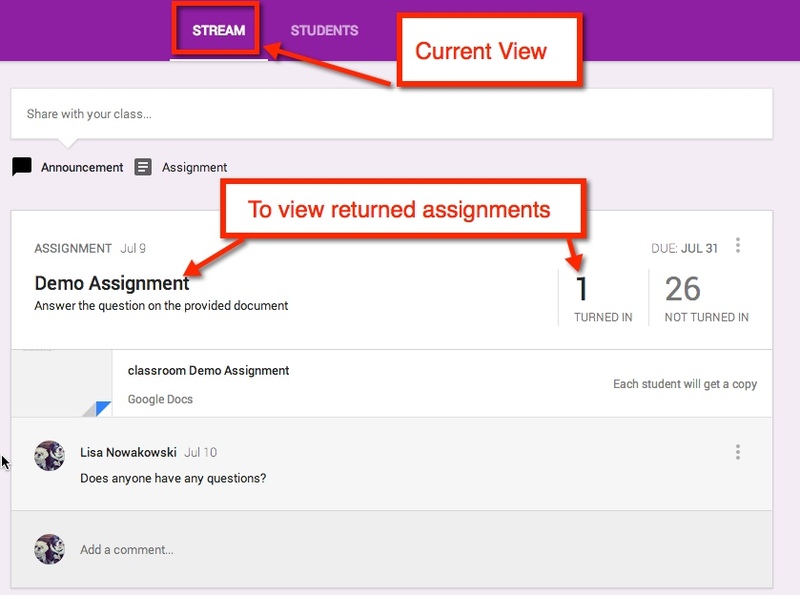 In your stream, you can easily view returned assignments. Either choose the title of the assignment or ‘Turned In’. 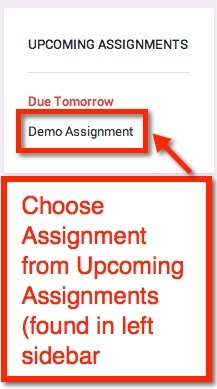 The left sidebar will show all upcoming assignments as well. 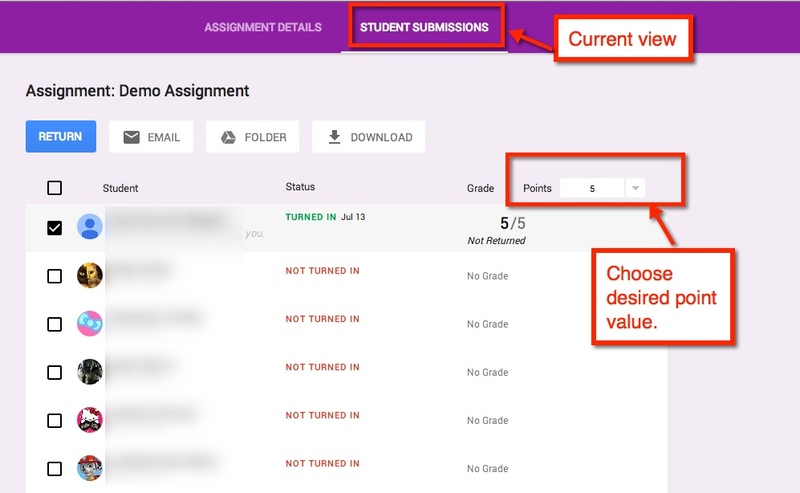 This allows you to view the status of all students’ assignments, private conversations with students, set point value, grade, and return assignments. 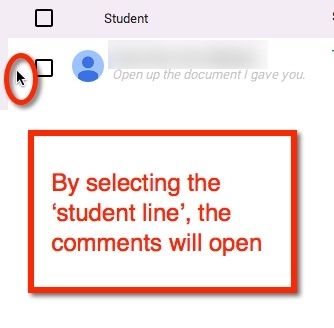 If the student has a comment or question, they can easily talk with you about it privately. 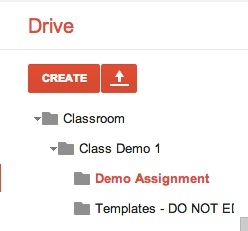 When you create a class, or students are enrolled in a class, Google automatically creates a Classroom Folder in your, and the student’s, Drive. In the Classroom Folder, the student is enrolled in 1 class, Class Demo 1. Whenever an assignment is created, it is automatically placed in this folder. In addition to the Classroom Folder and the Class Folder, teachers will also find that each assignment has a folder (within the assigned class) and a Templates Folder. The Templates Folder is a collection of all Google Created assignments for that class. This entry was posted in Classroom, Google, How To and tagged Google, Google Classroom by Admin. Bookmark the permalink.